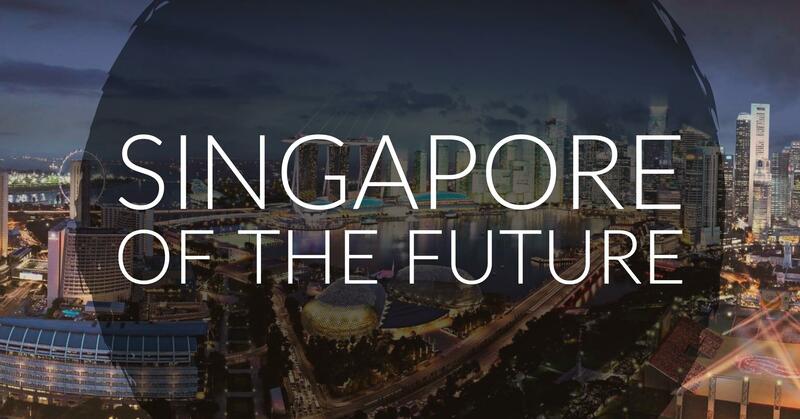 The city state of Singapore has risen to be a exemplary modern metropolis over the past four decades, and there’s no sign that the visionary government will slow the progress due to technological identity. While working in Singapore as an industrial designer, I’ve had the pleasure to design and be exposed to secretive projects currently in the works and plotted for the future of this smart nation. Here are 3 of my predictions on how the city will stay tech-savvy while maturing into the 2020s. The MRT mass transit system moves hundreds of people per minute in its most busy hours, commuters depend on the railway to get then to work on time, with time as money, any day that a major line breaks down it creates a loss of revenue. Sporting and celebratory events are at times avoided by individuals that don’t want to deal with the clogging of peoples at a terminal. Therefore, the MRT system needs, and will have to develop a good communication system among buses to get large groups of people mobilised in moments like these. It cannot continue to get overwhelmed, and must adapt to the fact that faults and delays will happen. This brings a chance for a new sub-system of buses, I picture something that is not dependent on the hands of people via IOT but provided by the city itself and called on by the MRT staff at the first sign of need. A fleet of buses that can quickly appear and take large bodies of people to select stops such as the nearest MRT entrance to other lines or main areas of attraction. When problems like breakdowns occur, the city cannot rely on people to organise themselves, and systems like Grab and Uber will definitely not make a dent. These buses will be autonomous while having a few given controls for the MRT personnel to manage better, their interiors will be somewhat reminiscent of MRT cars as standing will be encouraged to fit more people in one ride. 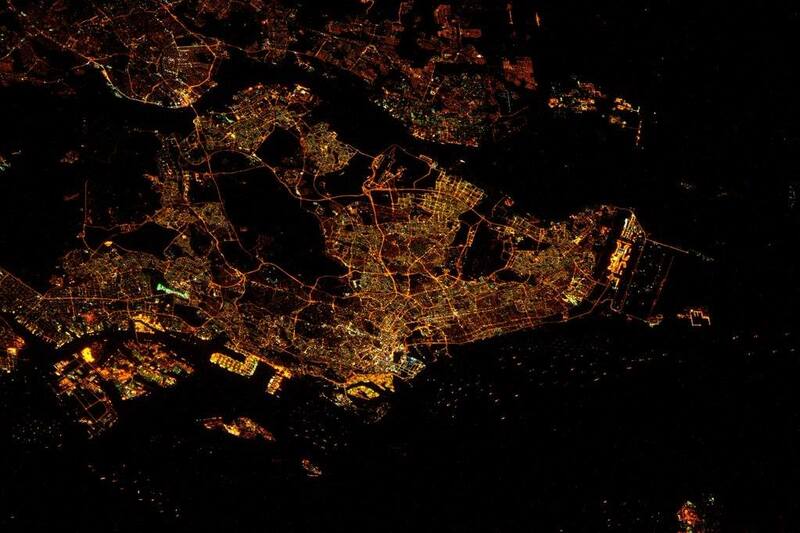 Recently ranked as one of the most light-polluted cities in the world, Singapore can cease the opportunity to claim itself both a city that doesn’t sleep, but also a haven that knows how to relax. By keeping lights on but dim, it will remain as a safe and walkable island at any time of night. Still it will learn how to adapt itself into a energy conservative grid by keeping lights off in many unused areas such as parking lots and structures. This will create opportunities for large and small companies in the lighting and security product business. Picture an area that lights up a bit brighter as it realises you are approaching. Imagine lighting systems that change hue from dusk to early sunrise. Of course, this cannot apply to all areas, and I’m guessing that the more intelligent systems will only be used in specific spaces. The government might also introduce regulations for business parks, as well as individual signage limitation for small and large businesses to adhere to. Overall, the goal is to communicate aesthetic and forward progress by at least not becoming more light polluted even as population grows. Following the model of other cities around the world, Singapore will come around to a much-needed revamp and cleansing of its rivers and canals, and corresponding infrastructure will also be spruced up. For the most part, the visual cleanliness of the water will create all the difference in areas that already have built walkways along the water, and it would be interesting if Singapore were to innovate along with already existing structures and habits along these waterbodies. Many men are commonly seen using the water for fishing leisure, and this can be taken forward and enhanced instead of shunned. Uncles might even be encouraged to use their knowledge of fishing and have a small pocket of space for fish farming! We will see eco-system restoration and self-propelled upkeep by gardening initiatives as we lean towards a better community experience. I urge you to keep a lookout for the emergence of these predictions – the Singapore government would most likely watch others adapt similar technology first, in order to weigh the pros and cons. However, these innovations will be pieces of one of the most efficient, convenient, and liveable places on the planet. The solutions will seamlessly contribute not just to the quality of life but also perpetuate the already thriving economy keeping Singapore a prestige desired destination. This article was contributed by Herald Ureña, an industrial designer. You can find some of his works here.